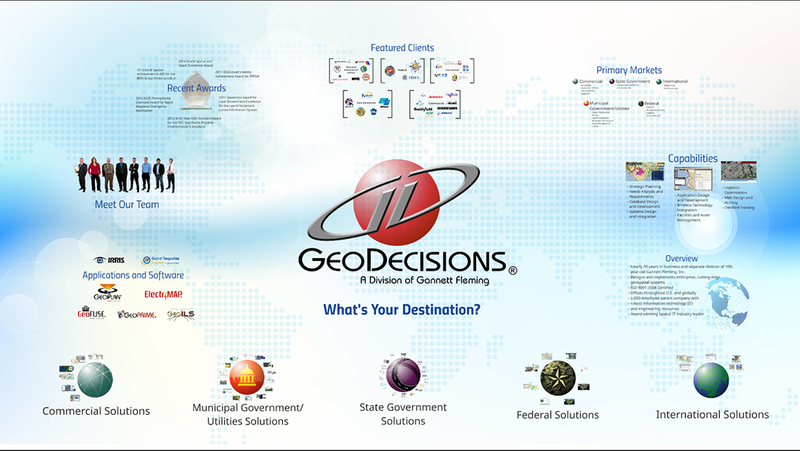 I have been creating the companywide PowerPoint presentations for GeoDecisions for several years, the above images reflect a changing but similar feeling template over several years. 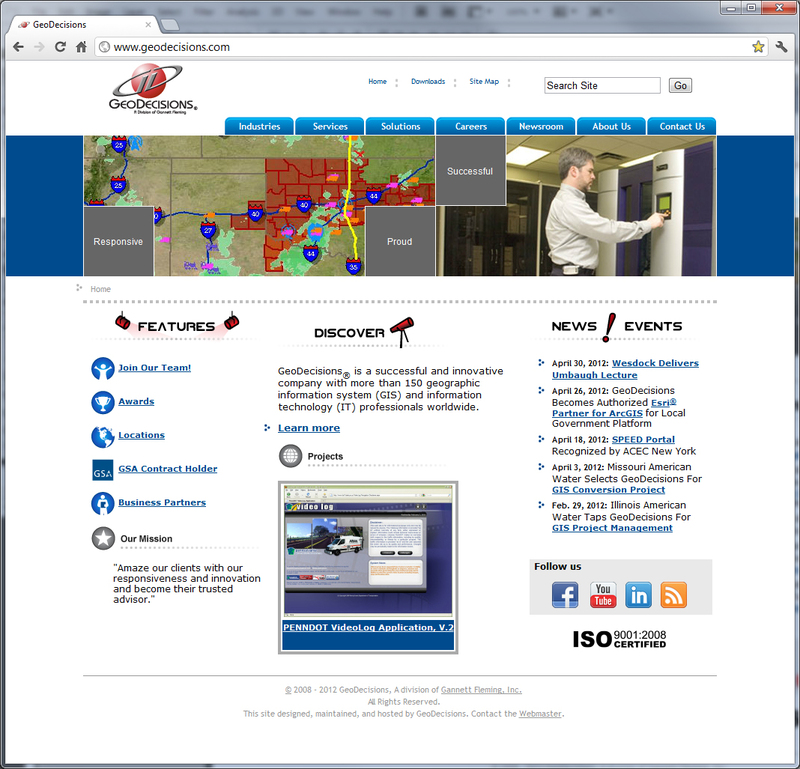 Here is a site that I created the graphics and interface for and handed it off to the programmer to assemble. 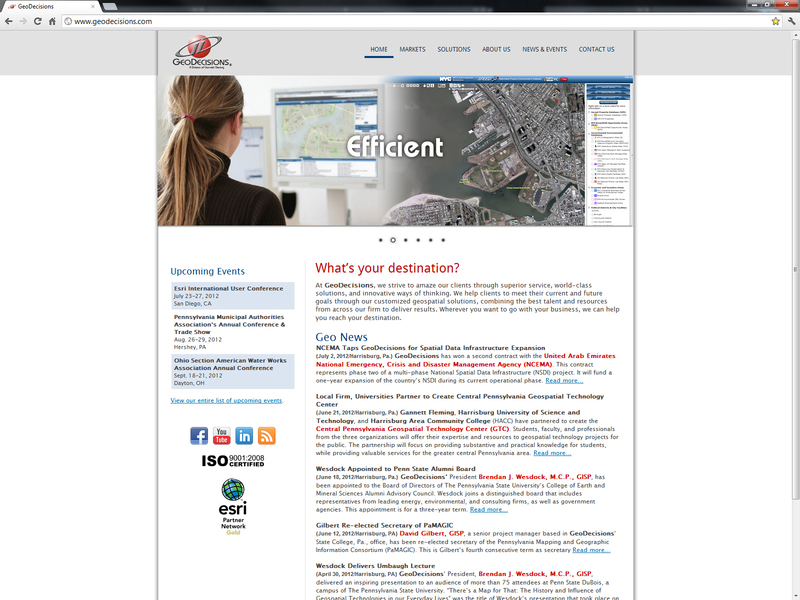 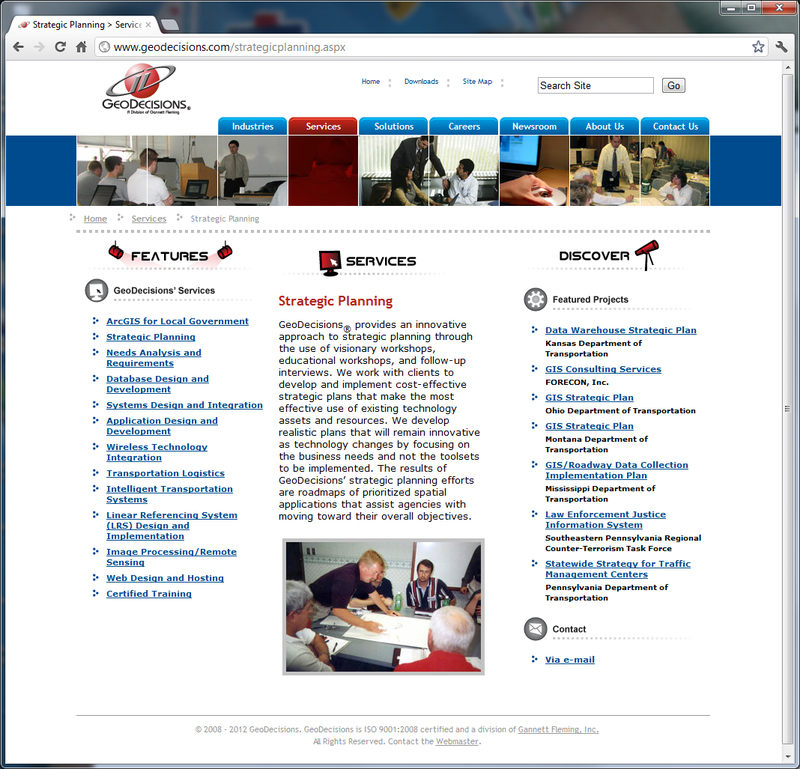 The site was recently updated using a CMS, shown in the bottom two images using. 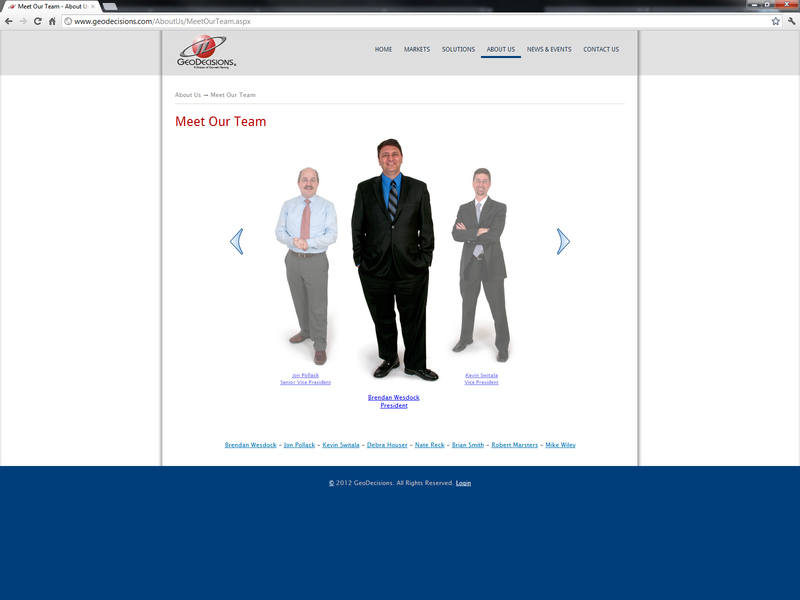 I continued to add visuals to the project, including jquery interactions.